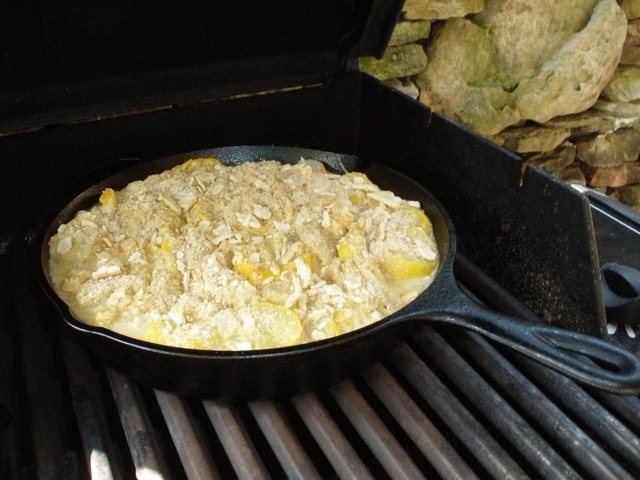 I am not sure why this is called Southern squash casserole, because I am pretty sure the south hasn’t cornered the market on squash casserole. However, I must say, I don’t recall ever making this when I lived in the Midwest. Do any of my Nebraska friends make squash casserole? Hmmmm. … maybe it should be called Southern! We didn’t grow yellow neck squash in the garden this year, but thankfully my neighbors did. We have eaten delicious, tender and tasty squash since the end of June. 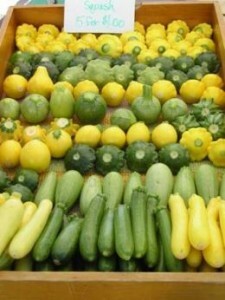 Now it is getting too hot for these tender squash and so the crop is starting to fade. In an attempt to savor a little more of the summer’s bounty I made this squash casserole. The great thing about squash casserole is that it just gets better each time you warm it up and it will stay tasty until the last bite is gone. 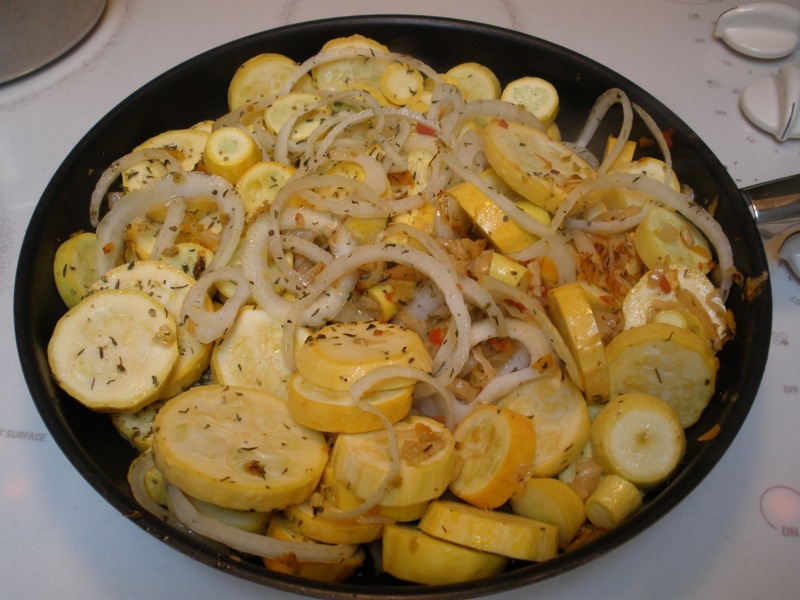 I used yellow squash but this recipe is just asking for a nice variety. At the local farmer’s markets there should be plenty to choose from! Using a large skillet, fry the bacon over medium high heat until crispy and brown. Place on a paper towel to drain and crumble. Add the butter to the same skillet and melt over low heat. Add the squash, onion, chopped green pepper and grated carrot. Cook for about 10 minutes, stirring continually until soft and slightly browned. Remove from the heat and cool. Add chicken soup, sour cream, crumbled bacon, ½ of the cheddar cheese, salt, pepper, and ½ package of stuffing mix. Thoroughly mix all of these ingredients. 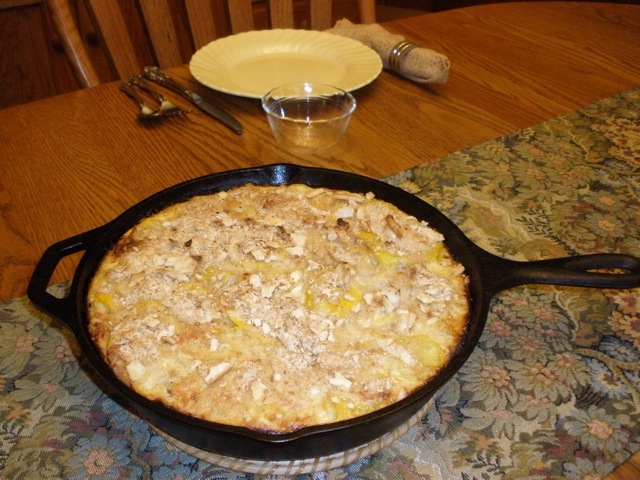 Spoon the mixture into a prepared 9″ x 13″ casserole dish, or your favorite cast iron skillet! Sprinkle top of casserole with remaining cornbread stuffing. Top with remaining ½ cup cheddar cheese. Bake about 30 minutes at 375 degrees. If it gets too brown, cover with foil during last 10 minutes or so of baking. The “three sisters”, corn, beans, and squash, were planted together by many indigenous groups of North and Central America. In this arrangement, the corn provides a stalk for the climbing beans to grow on, the beans provide nitrogen into the soil (that the corn needs), and the squash stay low to the ground, shading out any weeds. Many gardeners today still use the three sisters method. Squash is ancient: Seeds from the squash family have been found in caves in Ecuador (South America) dating back 10,000 years. 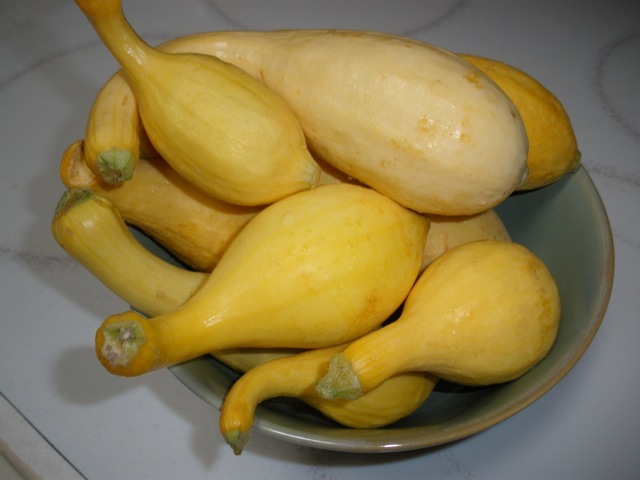 This should come as no surprise, since squash is easy to grow, has large fleshy fruit, contains nutritious seeds, and even has secondary uses as containers (think gourd bird houses). Southern casseroles include cream of mushroom/chicken, etc. soup, cheese and just about anything else. Its been said that a good Southern cook can make anything with this soup! I should have known my Tennessee born and bred sister-in-law would know the answer to this!!! Thanks Liz!